This month's Blind Testers have been busily testing two Lip & Cheek Tints, designed to give a perfect natural hint at rosiness. First up, MeMeMe Cosmetics Pussycat Cheek & Lip Tint, £5.25 from the affordable makeup range which undeniably takes inspiration from Benefit. Two out of three of the testers preferred this wallet friendly option, stating, "Loved it! I never liked the idea of a water based blusher but I would chose this over powder blush anyday- 10/10". Testers described it as "easy to use and stays the whole day", "good strong colour" and one in particular was desperate to be told what it was so they could purchase a full size. 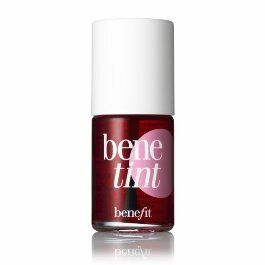 The other sample was of Benefit's cult Benetint. It's not a cheap option at £24.50 but the bottle will last & last. Testers stated, "seemed a bit more watery and was a tad darker although I still liked it" whilst another said, "not a fan at all- it was thin and watery. Very little colour and just too much like hard work due to the consistency. You'd need a lot to get some colour in your cheeks. I actually gave up on this so can't comment on its staying power." The third tester who chose this as her preferred option was impressed with the quality and said, "the colour looks more natural." Skin Deep's top tip? If you'd like to check Benetint out for less, there's a free sample with this month's Glamour magazine.